Update: Brad got his official acceptance letter to Brown University on December 14th. 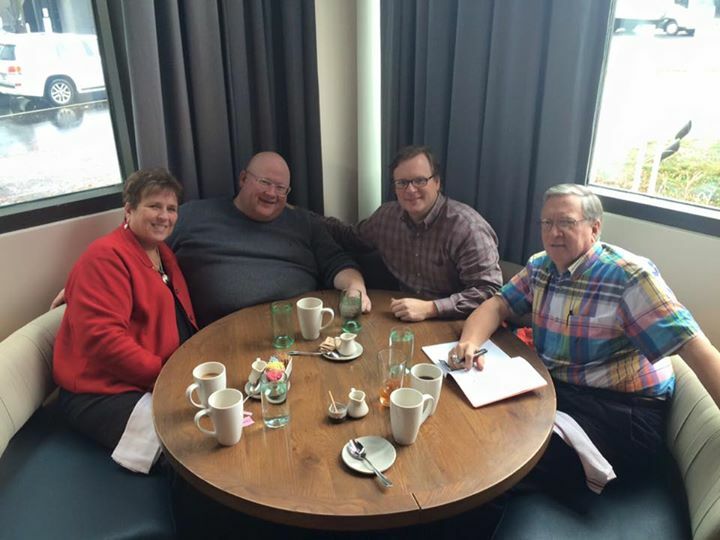 Bob, Mary and Brad had lunch today with Chef Kent Graham at King + Duke in Buckhead. We wanted to get some ideas from Chef about a fund raiser involving chefs! As everyone knows, Jeff was a chef, so this seemed like a logical thing to do. We will give credit where credit is due and tell you that the person who originally thought of this idea was Corinne. She couldn’t be with us today, so we started our conversation with her ideas and the four of us took it from there. We finished lunch and our discussion with a fabulous starting point for this fund raiser. More to come! Spring time! Stay tuned for details! This, admittedly, could be a bittersweet trip for me. I have not been back to Seattle since Jeff passed away and I know from hearing about Brad’s trip out there, that memories will be front and center. But the biggest lesson I’ve learned so far on this journey, and I’m sure this lesson will never end, is that I have to step far out of my comfort zone, face my fears, and do what I have to do. Our family has been given a big assignment from God and He has promised to give us courage and strength to rise to the occasion. “Commit to the Lord whatever you do, and your plans will succeed.” “Be strong and of good courage. Do not fear nor be afraid; for the Lord your God, He is the One who goes with you. He will not leave you nor forsake you.” So I’m off to book a flight and make arrangements to stay with our family in the Seattle area. They have graciously opened their home, the use of their car and to feed me! Yet another blessing in the life of our Foundation. I cannot wait for my visit with Liz Truong at the Seattle Transplant House. Big things are ahead! Brad was in New York on October 29th, for business, so he swung by the Transplant Living Center on the Upper East Side (235 East 95th St). What a place! They were the fortunate recipient of a large donation that paid for a complete restoration. 12 beds, but like all transplant homes, they need twice as many. And to add to that, a hotel in NY is very expensive when they’re out of space. We’re building a grassroots coalition…one meeting at a time. We are going to change the world. One thing that impressed Brad about this transplant home was the amazing way it was furnished. As he described it, we were so aware that this home is “done up” in exactly the way that we, as a family, have envisioned any facility that we build. We are of the firm believe that our guests deserve NOTHING BUT THE BEST! 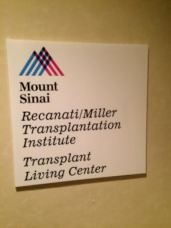 One of the goals of our family is to visit as many of the existing transplant houses as possible. Brad was able to make the first visit on Friday, October 23rd. He was in Seattle on a short business trip, 24 hours to be exact…5,400 miles for two meetings and the flight home arrived via layovers in Denver and Cincinnati with bad weather to boot. 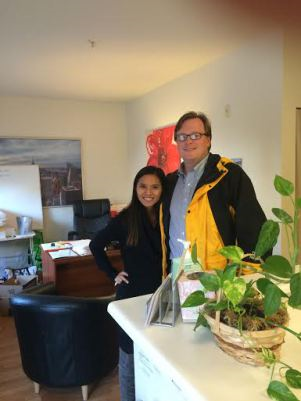 He met with Liz Truong at the Seattle Transplant House on the campus of the University of Washington. Liz is the Executive Director and the type of person who is very quickly becoming an asset to our Foundation – bright, personable, passionate, and open to new ideas. There is a MASSIVE need in Seattle for a bigger transplant home (a home; not a facility…that’s way too sterile and “hospital like”). 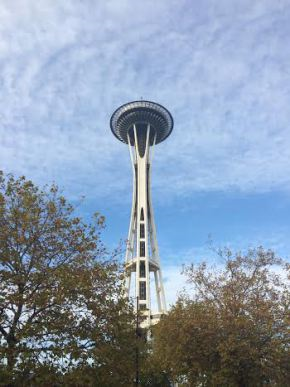 Seattle has four hospitals that do organ transplants and they serve six states! Good luck getting an organ transplant instate if you live in Alaska, Idaho, Montana, and others. The Seattle Transplant House has 24 apartments for patients and their caregivers, but they need at least 100. These poor people in the northwest have to uproot and travel hundreds of miles for life saving medical attention and a lot of them have no where to live. No one, and we mean NO ONE, should be put through the emotional and financial stress of relocating to an unfamiliar city with little to no resources while waiting on an organ transplant. A coalition needs to be built. Resources and brainpower need to join forces. It breaks our hearts to know our country’s healthcare system is failing. We will fix this.